The erasure of the contributions and sacrifices of people of color is rampant throughout our history, not only as a country, but as a community. Individuals of color have long been an integral part of the LGBTQ community and they are deserving of recognition and praise. Behind the scenes the LGBTQ entertainment field is as diverse as ever. However, there are still calls for increased diversity in the public sphere. Women of color want more public visibility, especially as drag and entertainment are transitioning to the biggest stage of all: mainstream media. There are five generations of black drag queens living in Orlando, with a sixth on the horizon. They are representative of every facet of diversity that can be found in the LGBTQ community. In this feature, during Black History Month, we take the time to recognize and honor their contributions of those who have made Orlando’s entertainment industry better, simply by being a part of it. Willie Tillmon likes to watch the pageants at the Parliament House from the same spot every time. He’s been standing up against the wall on the second level in the back of the room for at least 30 years. There he can get a full view of the stage and really take in the show. The performances are different than they were in the 1970s when he first graced the stage at the Footlight Theater as Geraldine Jones, but Tilmon enjoys watching the art form evolve and is proud of the knowledge that he helped pave the way. 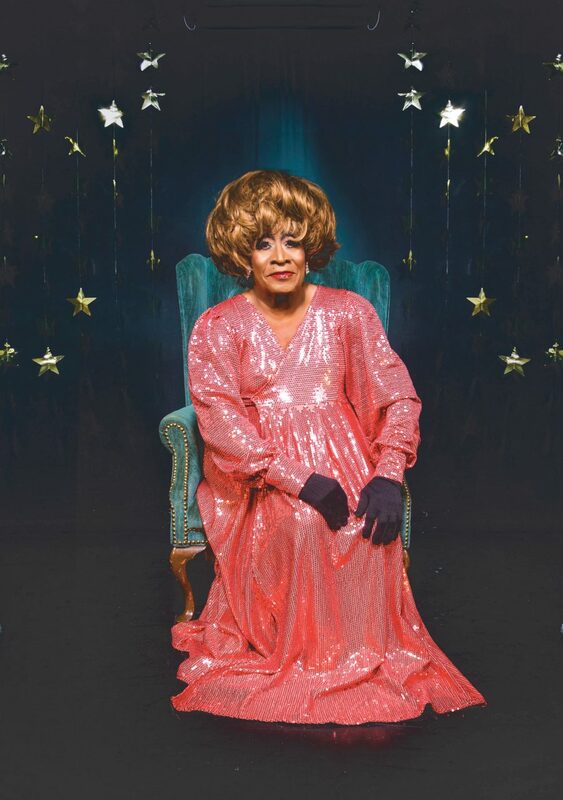 At 74 years old, Willie Tillmon is the oldest living Drag Queen in Orlando. Originally, the dress was just a costume, a prop for a comedic monologue. His popular impression of Weezy from The Jeffersons was so successful that he started performing in drag regularly and at a time when there were only a handful of black female impersonators in the entertainment world. It wasn’t until Tillmon introduced Geraldine Jones, based off of the Flip Wilson character of the same name, that he became a legend. The significance of the performance is not lost on Tillmon. 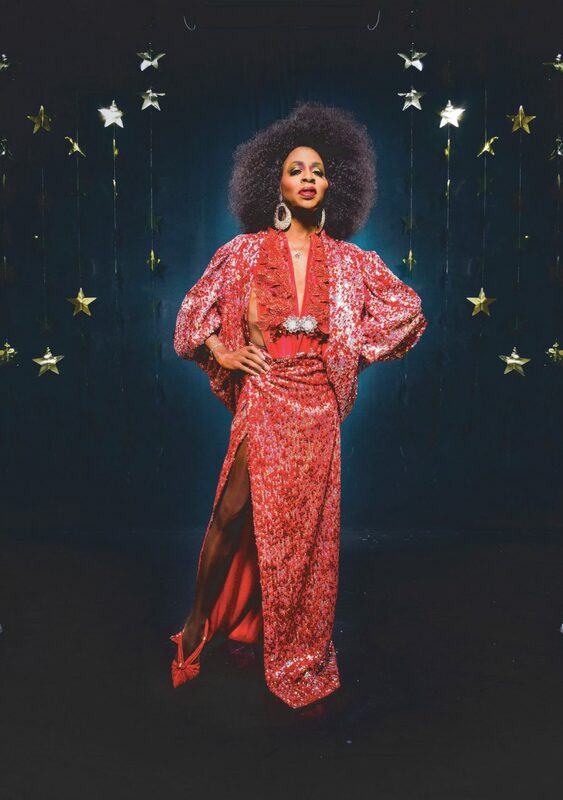 Being a black man in drag, in the ‘70s, was a very bold move, and one that Tillmon, as Jones, took in stride. Having been in the military band for 12 years, it had been ingrained in him years prior not to see color. As the years go by, respect for Geraldine Jones and her legacy is evident. Everyone seems to have been touched by her in some way. She remembers Angelica “Piggy” Sanchez when she was a newcomer from Jacksonville dancing backup for other performers. She predicted, correctly, that Vaughn Gretchen was going to be a star at her first amateur night. Years of knowledge have given her a knack for being able to pick out the best of the bunch. Like all good matrons, Jones fusses over the women like a mother hen concerned about the well-being of her flock. She has an opinion and a bit of advice about everything. She warns newcomers about the rising cost of being a professional entertainer — “Don’t get in it if you can’t afford to lose!” — and watches bodily enhancement with a wary eye and a wagging tongue. Never having had any work done herself, Jones is distrustful of permanent surgeries. She’s seen former colleagues have procedures reversed as their bodies aged. To this day, Jones is sharp as a tack with a sense of humor that exceeds her petite frame. It’s clear that her designation as a matriarch is an important one to her, a title that she plans to live out as long as she can. Willie H. King Jr. is a very busy person. At 61 years old he is the primary caregiver for his elderly parents and he works full time as a catering professional. He doesn’t get to perform as much as he did in the ‘80s, but when he does grace the stage at Parliament House, it’s as Vaughn Gretchen reminding the audience that disco never died. King moved around a lot as a child, but by the age of 21 he had settled in his father’s hometown of Sanford. It was around this time that he discovered the Parliament House and began attending shows, watching and being inspired by performers like Heavy Duty and Miss P.
“When I went to see them, I thought ‘I could do that,’” King says. As a teenager, he loved entertaining. As he matured, drag gave him a sense of fulfillment despite the risks involved. In the 1980s it was still illegal for men to present themselves as female in any context. “I remember the white handkerchief test,” King says, discussing a policy that landed more than a few queens behind bars. If a law enforcement officer suspected that you were born a male and were dressed as a female, they could take a white handkerchief and wipe the face of a performer. If any makeup came off, handcuffs went on. King speaks candidly about navigating the scene in the ‘80s. Even though she was successful, out and proud, Vaughn performed drag in virtual secrecy to avoid persecution. Vaughn was surprised by how her race contributed to how she was perceived within the LGBTQ community. Often clubs that she booked assumed, because of her stage name, that she was a white woman. She learned how to unpack that initial shock and, at times, outright rejection. King appreciates how the times have changed. He applauds the increase in racial diversity that he sees on stages. 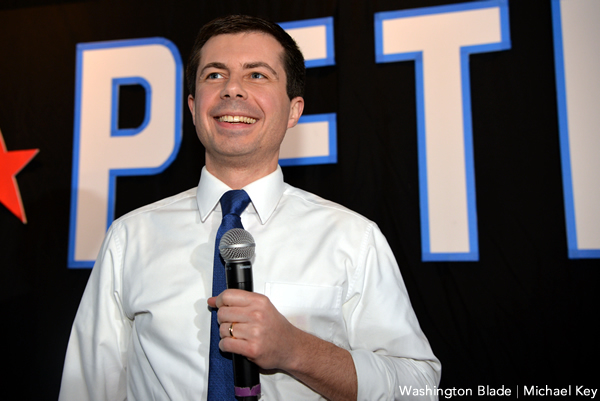 He gives kudos to the LGBTQ community at large for being more accepting of trans individuals. Vaughn smokes a cigarette in the night air, under the lights that frame the pool in the courtyard of the Parliament House. Draped in an elaborate three piece sequined gown (a gift created by another veteran Wendy Grape) she gestures around at the motel. For years, Ms. Darcel Stevens lived a double life. In the 1980s when she was in her 20s, she attended the University of Florida and lived the life of the ideal college student. Fresh out of the Army, Darnell, as he was called then, was a member of the ROTC and would commute two hours each way to report to his post in the National Guard. In fact, the first time he stepped out on to a stage in drag he was more interested in the cash prize than the performance. He needed the money for books. Something about that first show lit a spark of curiosity in Darnell. It wasn’t the fact that he won that was surprising to him; it was the fact that he’d enjoyed the experience. Darnell walked a path that many today would consider almost gilded. He graduated high school, joined the army and got into a good school after he left active duty. His college graduation held the promise of a corporate job and he relocated to small-town Central Florida. On the outside his life seemed perfect, but under the surface Darnell was working hard to come to terms with his own identity. Being mentored by other black queens helped Darnell come to terms with his identity as a gay man, but also helped protect him in the early years of his drag career. It was the early ‘90s and the AIDS epidemic was in full swing. Also, being a member of the ROTC, he was prohibited from being openly gay. Drag mothers, like Dede Williams and Diane Adams, took him under their wing and gave him a kind of secondary education. Now, Ms. Darcel is a little older but much wiser. She is currently the entertainment director for Parliament House. She has been out for a long time now and drag has become a full-time occupation as opposed to an alter ego. She’s no longer living in the shadow of her own life. “I’m always mindful of who I am and what I am,” she says. 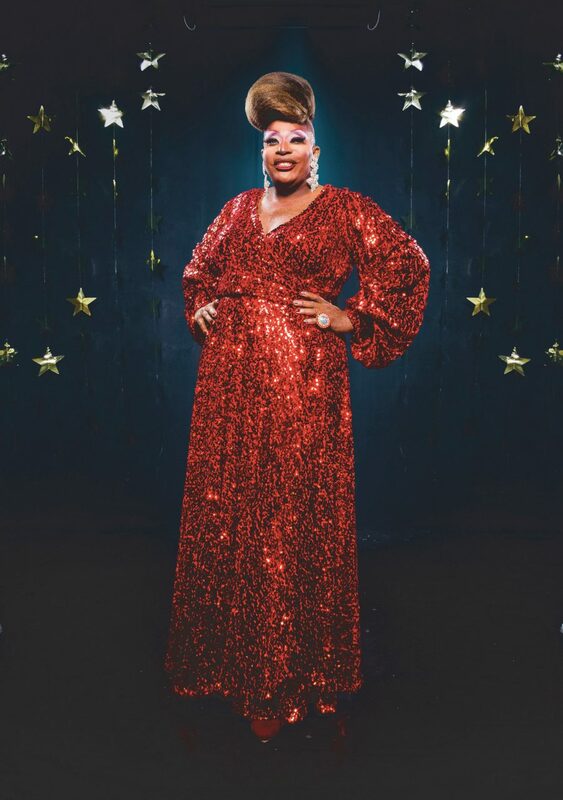 Of all the women we spoke with, Ms. Darcel is the most vocal about advocating for diversity and the mainstream visibility of drag and entertainment. In fact, it was her calling out our coverage, or lack thereof, that inspired this feature. She remarked on the recent elections in Alabama and hopes that the lessons learned there can extend to all communities across America. There’s a video on YouTube from the talent portion of the 1996 Miss Gay USofA at Large featuring Miss Angelica Sanchez. Back up dancers execute sharp choreography to Debbie Gibson’s Electric Youth, but their presence only elevates Angelica’s energy. She commands the stage. Around the two minute mark, she executes a flawless backbend and lip syncs the song Upside Down while the crowd goes wild. The performance is almost mesmerizing, it’s so good. Talking to Angelica you would never know how tumultuous her life has been. She didn’t win the Miss Gay USofA at Large that year, although that did happen in 2001. She served as drag mother to Tyra Sanchez, a performer who went on to win Season 2 of RuPaul’s Drag Race. She was also performing at Pulse nightclub when gunshots rang out that fateful night in June. Her life has had many ups and downs, but through it all, she has a bright, kind spirit. She started doing drag as a teenager in Jacksonville, but it wasn’t until she graduated in 1996 that she made performing a full time pursuit. Watching queens like Sierrah Foxx gave Angelica the motivation she needed to embrace drag as an art form, and her identity as a transgender woman. “When I saw drag I realized I could be the woman I always wanted to be,” she says. Sanchez’s career took off in the early 2000s, shortly after she was crowned Miss Gay USofA at Large. She became a familiar face in a landscape that was starting to embrace diversity. While Sanchez is happy to see these changes, she argues that there’s still a lot of progress to be made. Angelica, or “Piggy” as she’s affectionately referred to, is an advocate for transgender rights and visibility. “I feel like the gay community should stand up for us more,” she says. Her argument that transgender people are often the first to stand for change and the last to be granted civil rights is one that has been debated—and rightfully so—for decades. Jazelle Barbie Royale is a beautiful and confident woman. It’s not hard to see how she earned the coveted title of Miss Continental in 2016. She’s a professional, but she is very careful not to label herself. 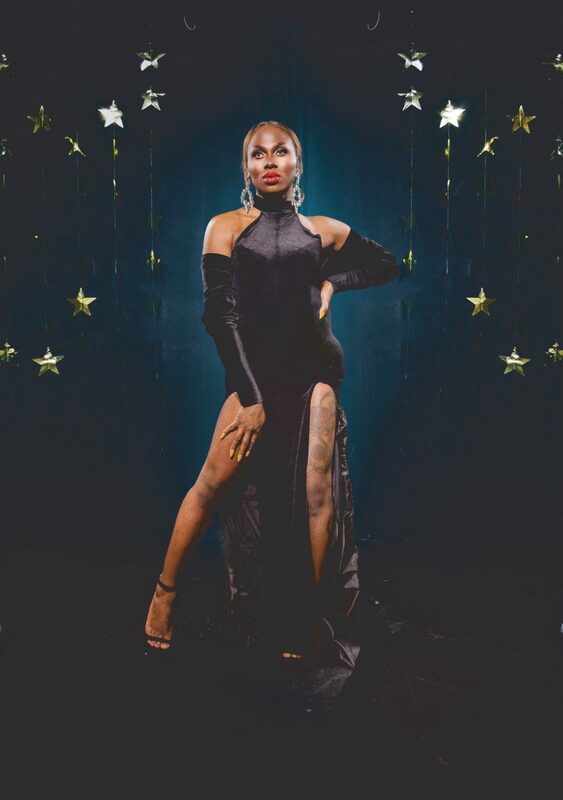 Jazelle is a transgender woman and a professional entertainer. It’s a distinction that is rarely clarified in popular culture. The way that she carries herself adds a layer of visibility and clarification to gender identity versus entertainment, an important distinction to make as the LGBTQ community translates to the national stage. “For me, they go hand in hand,” Jazelle says. Heavily influenced by her passion for music, Jazelle got her start as a performer in high school. She was always involved in the performing arts and was a member of the local All City Choir. After graduation she started performing at Club 3D in Jacksonville, but moved to Orlando in 2011 when she was hired to a permanent position at the Parliament House. In the six years that Jazell has been a resident of Orlando, she has built a reputation that is reflective of the temperature of our culture and is indicative of how hardworking and talented she is. When she competed in the Miss Continental in Chicago in 2016, she received a perfect score for the talent portion of the competition while singing her own live vocals. 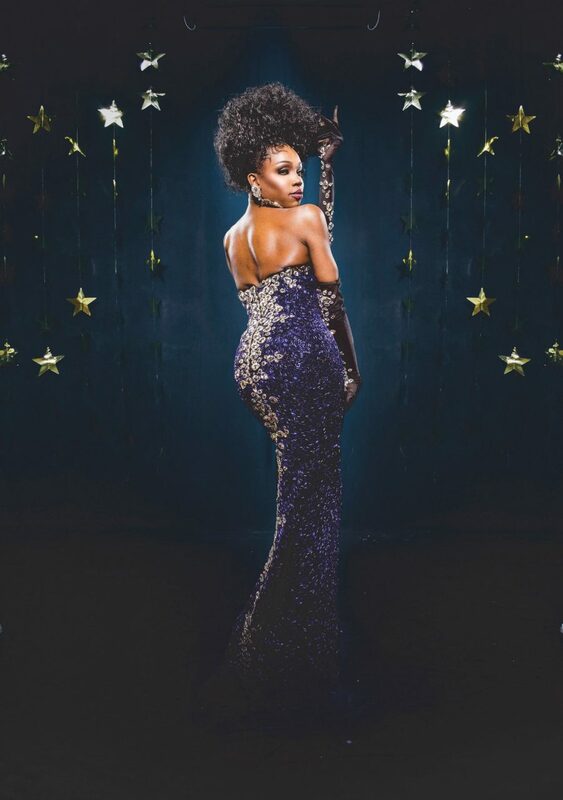 The rise of the Miss Continental Pageant is in itself symbolic, an almost parallel reflection of Jazelle’s journey. It was a pageant formed specifically as a response to rules in other LGBTQ pageants which accepted drag queens as participants, but barred transgender women from entering. The distinction was forced upon transgender women, who historically, turned to drag for work. Miss Continental was created in 1980 to be inclusive of all gender classifications, impersonator or otherwise. Her blossoming reputation has not been all smooth sailing. She has experienced all shades of discrimination, from colorism to blatant racial exclusion. She gets more recognition since her Miss Continental win. More recognition means more work and more opportunities to do what she does best: shine. Yani is the future. As the youngest of the bunch, she is also the most recent Orlando transplant, only having lived here for three years. 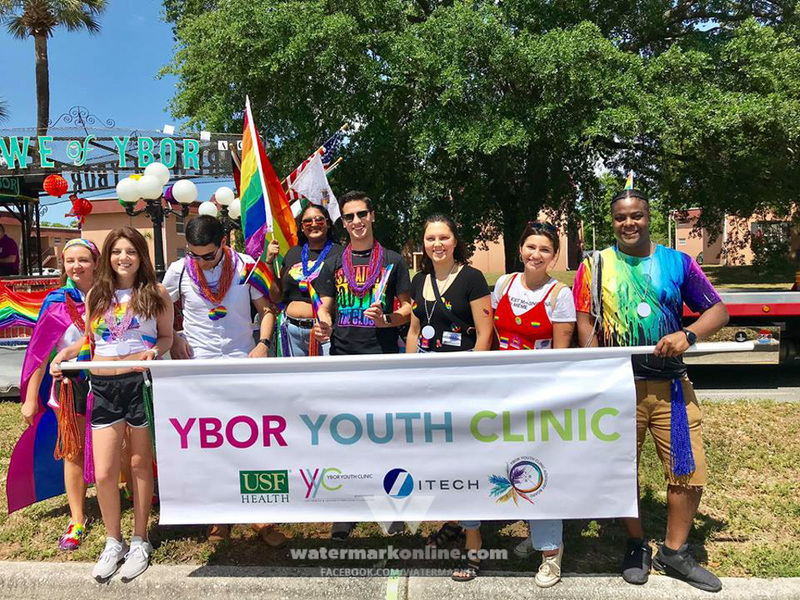 Central Florida is a world apart from the oppressive attitudes that still exist in South Carolina, where Yani was raised. A soft spoken woman of only 26 years old, she’d done some performing in South Carolina as a drag entertainer. She moved to Orlando in 2014 to accept a job at the Parliament House. It was a leap of faith that set in motion changes that are now dictating the course of her life. Yani is now openly a transgender woman. She began transitioning about 18 months ago. She finds inspiration all around her, from other performers (specifically Jazelle and Ms.Darcel who inspire her) to the environment itself. It was difficult for her growing up transgender in the South, but her path seemed destined. “I always wanted to do this,” she says. Now, having been presented the opportunity, Yani is letting her abilities speak for her. She’s won several awards at the Parliament House, most recently being recognized at the weekly hip hop night. It’s surprising that a woman as introverted as Yani could be such a bombastic performer, but it’s proof that the stage is her element. Yani seems to embody a little piece of all the women who came before her. She is brave like Geraldine, but her words are calculated and thoughtful, a trait she shares with Ms. Darcel. When it comes to public scrutiny she’s a bit introverted, like Vaughn, and she is a transgender woman, like Jazell. But above all, what is so intriguing about Yani is that she is very much still forming her own identity. She is the first sign of spring, a flower just about to bloom. She has a piece of all these women reflected in her persona, but her identity is not cloaked by their legacies. Instead, it is enhanced. Yani is surrounded by a community that is driven by love and camaraderie. 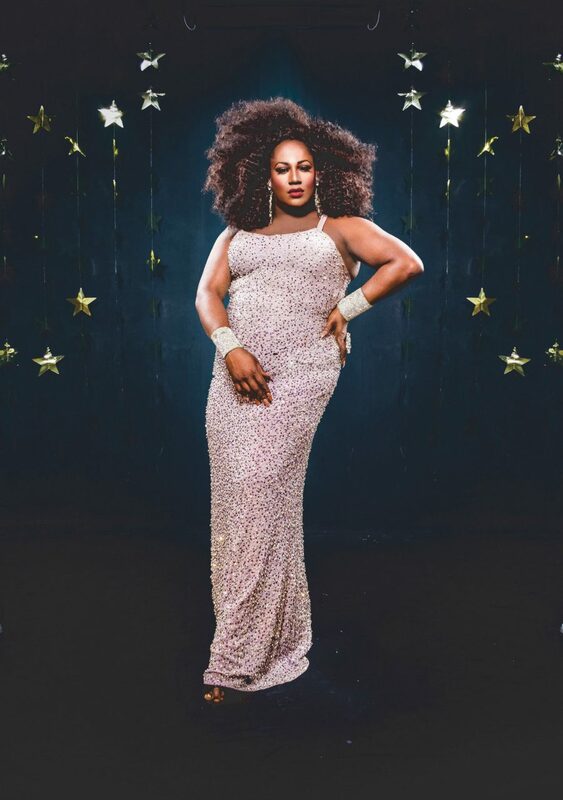 As she develops, they will undoubtedly be there to guide her hand, teach her all the tricks of the trade and instill in her the unique lessons that come with being black, being a drag queen and being a transgender woman in the world. Yani is in good hands, hands that for years have helped women in her shoes to reach their fullest potential. People like Geraldine and Vaughn opened the doors; Darcell and Angelica paved the way; Jazell is what years of sacrifice can become when allowed to flourish. And Yani? Well, Yani is black, and female, and proud.